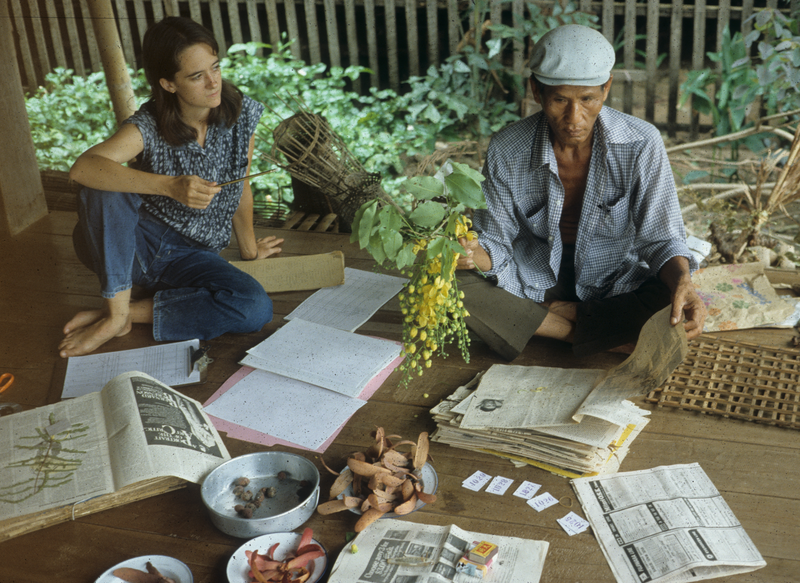 Photo: Joyce White and Lung Li look over plant specimens in Thailand in 1981. 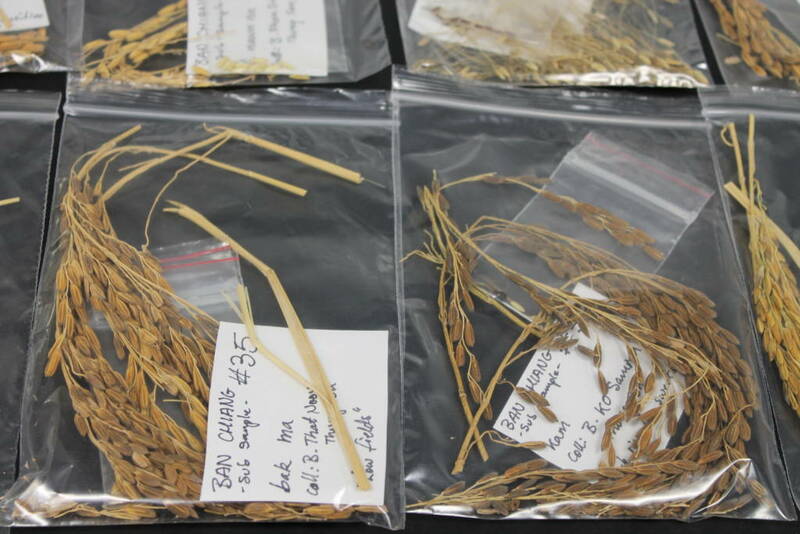 On February 26, 2019, Chantel White, Fabian Toro, and Joyce White have published online “Rice carbonization and the archaeobotanical record: experimental results from the Ban Chiang ethnobotanical collection, Thailand” in Archaeological and Anthropological Sciences. 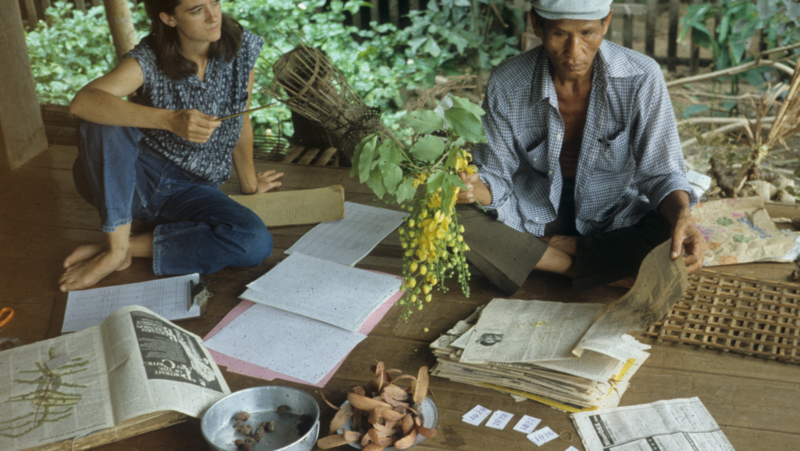 Through a set of carefully controlled carbonization experiments using wild and domesticated species collected by Joyce White in the Ban Chiang region in 1981, they demonstrate that dried, dehusked grains survive intact within a small window of heating conditions and, contrary to previous studies, are not substantially reduced in size by the carbonization process. Samples of rice used in the experiments. 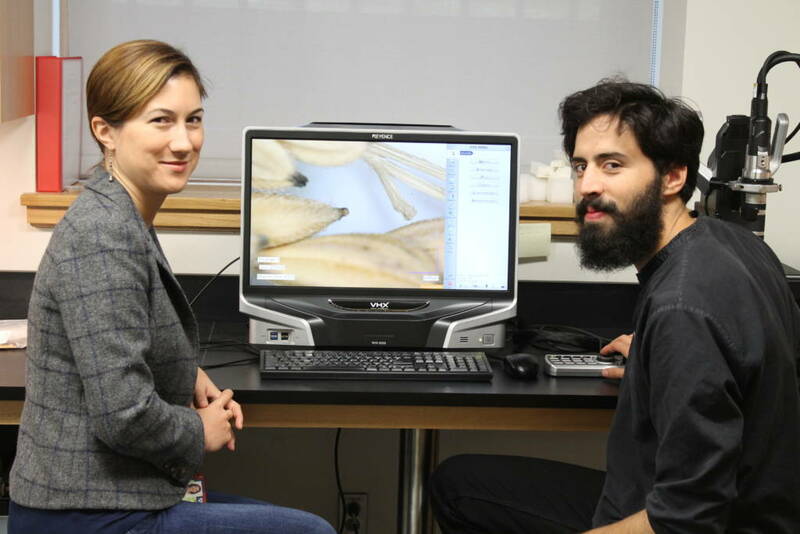 Chantel White and Fabian Toro examine rice under a Keyence microscope in the Center for the Analysis of Archaeological Materials (CAAM).